Today, I have the pleasure of introducing to you my lovely guest blogger, Priyanka from One Geek of Parent, who will be sharing with us her journey of discovering her child’s eyesight issues and all the crucial information parents need to know about it. Having a severe case of nearsightedness myself, along with a husband with the same (though milder) eyesight issue, I expect that my son will most likely be a spectacle wearer too. Therefore, it is so important for me to know as much as possible about this and be prepared for the time that I may need to take Baby Z to see an Optometrist. I hope that by sharing this informative post with you all, any other parents in a similar position to me, will be better prepared and knowledgeable about what steps needs to be taken. Thank you Priyanka, over to you! My husband and I are at two ends of a spectrum when it comes to issues related to the eye. He has been wearing spectacles since he was a kid while I am blessed with near-perfect vision. But naturally, when it came to our daughter, we were always kind-of- hoping she would inherit my eyesight genes. As luck would have it, that was not the case. She was a little under 5 when we realized that we might have a problem in this area. In those days, my husband would drop her to school every morning. To kill time during the daily drive, they had devised a little game among themselves. Each time there was a car ahead of them, he would ask her to read out the number plate. But of course, she would get them wrong. Sometimes, the issue was with the ‘number’, at others; with the ‘alphabet’. Not to forget the squinting of the eyes in an attempt to read. Almost immediately, this was followed by complaints of headaches once she was back from school. Initially, I attributed this to the severe heat in Dubai while at the same time making sure she was sufficiently hydrated. Like any vigilant parent, the next few days were spent in careful observation. One of the things I noticed at the time was the fact that whenever she would sit down to read, she would hold the reading material very close to her face. These were indications enough to prompt me to book a session with a pediatric ophthalmologist. There are three types of specialists catering to eye care. An ophthalmologist provides complete eye care right from conducting eye exams to diagnosing eye problems and performing surgeries. An optometrist, on the other hand does pretty much all of this, except treating complex eye issues and performing surgery. Finally, there is the optician who works on the assembly, fitting and sale of glasses. A pediatric ophthalmologist is an expert at diagnosing and treating eye problems in children. Based on my research and word of mouth reviews, I took her to Moorfields Eye Hospital Dubai in Healthcare City for the necessary tests. Amblyopia: Commonly known as the lazy eye, this is a condition where one eye is weaker than the other and hence utilized significantly less thus making it lazy. Strabismus: This is a misalignment of eyes causing them to turn in, out, up or down. Children with such a condition are known to be cross-eyed. Refractive errors: These errors occur as a result of an incorrect shape of the eye resulting in blurry vision. Nearsightedness/Myopia (poor distance vision), Farsightedness/Hyperopia (poor near vision) and Astigmatism (abnormal curvature of the front surface of the eye) are all different types of refractive errors. 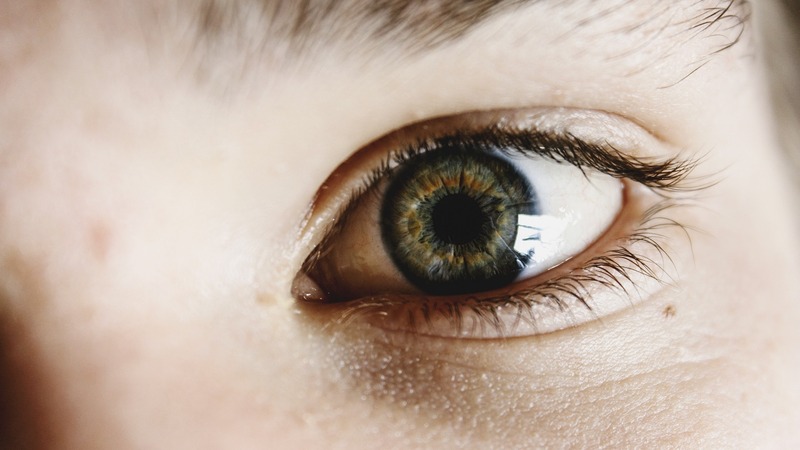 Genetic diseases: There are several eye diseases that are associated with a family history and might warrant an immediate surgery. Examples of such include congenital glaucoma (high pressure in the eye), retinoblastoma (malignant tumor) and infantile cataracts (clouding of the eye). Through a detailed investigation that lasted 3 hours, my daughter was diagnosed with Astigmatism. While the term itself sounds scary, astigmatism is a fairly common condition caused by an eye that is not perfectly round. It occurs in everybody to some extent or the other. However, in cases of pronounced astigmatism, this imperfection in the shape of the cornea causes vision that is blurred and wavy (close-up and far-away). The exact cause of astigmatism is not known although genetics has a big role to play. In most cases, children are born with it although some might develop it in later life. It may also occur as a result of injury to the eye or post an eye surgery. A slight degree of astigmatism does not warrant any correction. However, in cases where astigmatism is significant and may or may not be accompanied with near or farsightedness, the course of treatment points towards prescription glasses or contact lenses. For children who are older with otherwise healthy eyes free from scars and diseases, refractive surgery (or laser surgery) is another option. Over the long term, corrective lenses or surgery can usually restore vision to normal. However, there is no way to prevent astigmatism from developing. When my daughter was diagnosed with astigmatism and the ‘possibility’ of wearing glasses slowly turned into a ‘reality’, it was quite overwhelming; although I must admit, only for me. For her, the transition was a breeze. For starters, she was beyond excited to wear glasses ‘just like her daddy’. The entire process of selecting the appropriate frame was another adventure in itself. While we explored all the possible optical stores in Dubai, it was Magrabi for kids in Dubai Mall that met our requirements completely. Established in 2007, this newest edition to the Magrabi Retail family is a retail chain specializing in prescription eye wear, sunglasses and accessories designed specifically for children. 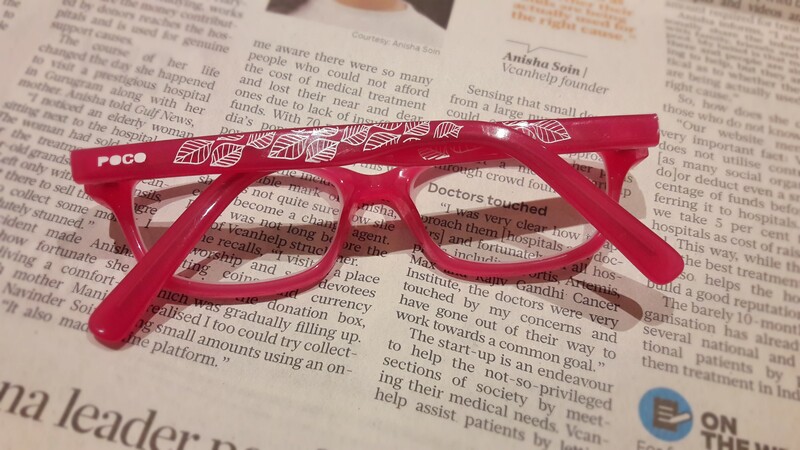 We settled for a bright pink pair of glasses (a typical girl that she is) with a plastic frame. In the course of our research, we also realized that impact-resistant frames work best for younger kids while the older ones can experiment with those made of metal. 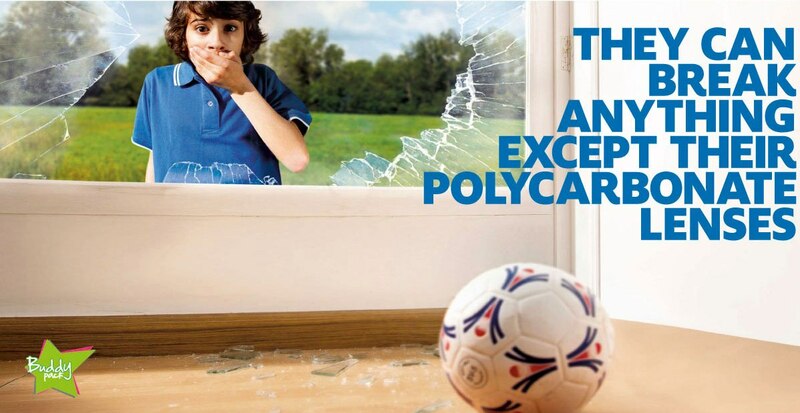 Polycarbonate lenses are tough and shatter-proof in nature working particularly well if you have an over-active child. For children who are into sports, an elastic strap attached to the frame is recommended. Depending on the power, if the weight of the glasses is an issue, one can opt for high-index lenses which are thinner and far lighter. Diagnosing eye problems and treating them in a timely manner is critical to the overall development of a child. However, it does not end there. There are several things that can be done on a day-to-day basis to preserve a child’s eyesight. As far as possible, encourage your kids to eat a healthy diet replete with fruits, vegetables, lean meat and fish as well as dairy. Restrict screen-time and ensure that they take adequate breaks while moving from one medium of stimulation to another. Maintaining a safe distance while reading or watching television, making sure that the room is well-lit, protecting the eyes from the direct rays of the sun and wearing prescription glasses as recommended by the ophthalmologist are some other ways of caring for the eyes regularly. It has been a year since my little one has been wearing prescription glasses. Besides taking all the necessary precautions in terms of food and exposure, we have been pretty strict about her wearing them at all times. Also, during the first year of being diagnosed with this condition, she has had quarterly eye appointments to ensure that her vision has not been deteriorating. “Heya all, my name is Priyanka Wade. An ex-banker who is currently a freelance writer and blogger, I’m also a wife and happy-to-stay-at-home mum to an almost-6 year old girl. 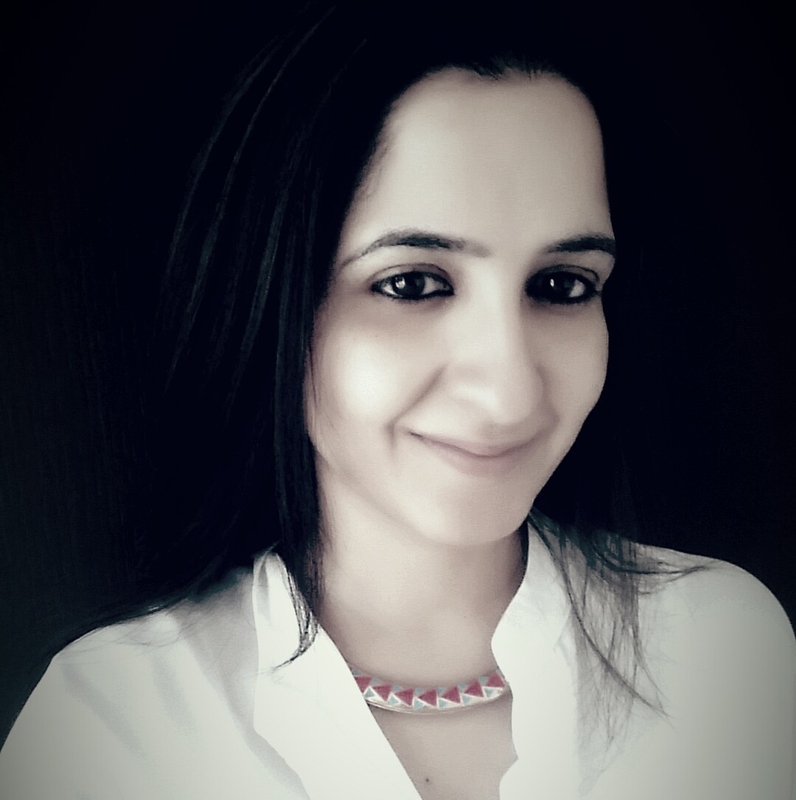 For more great posts from Priyanka, head on over to her blog One Geek of a Parent, or follow her on Facebook and Instagram for regular updates.